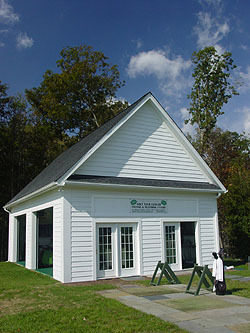 Visit the Fitting Studio at Westfields Golf Club staffed by Larry Bleich. Located just to the right of the driving range, the friendly, knowledgable staff will match your unique swing to a set of customized clubs or adjust your existing clubs for your swing. The foundation of our fitting methodology is that both fitter and customer must have the opportunity to observe actual ball flight. WE DO NOT HIT INTO NETS. At our Studio, we utilize both Trackman and Flightscope launch monitors. 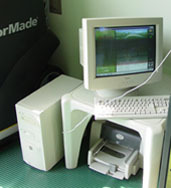 These monitors are the same used on the PGA Tour and are recognized as the most accurate monitors available. Fitting systems for all major manufacturers including: Callaway, Cleveland, Cobra, Mizuno, Nike, Ping, Taylor Made, Titleist and Tour Edge. 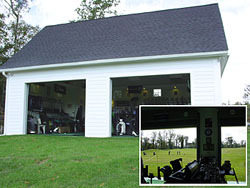 Indoor facilities that open to face the range - allowing you to find that perfect club in any weather conditions.